Light refreshment - it's a bit of a weird term isn't it?! 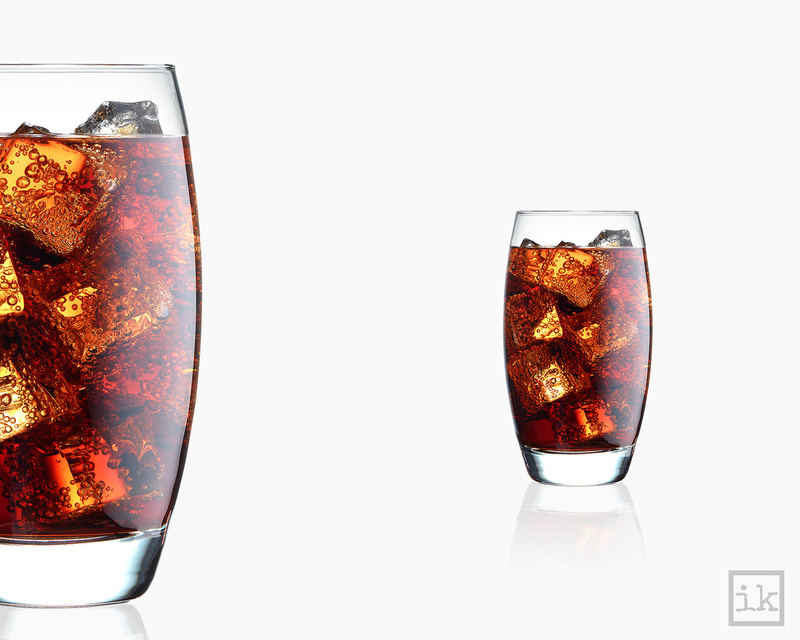 Here we have dark refreshment in a curved hi-ball tumbler, chock full of ice and looking fizzy and tasty! Glass shot on silver baby plate and comp'ed into the final image. Excellent shot mate! Love the lighting, the reflections and the way you placed the two elements in the frame.